I used to have a shaving mirror affixed to the wall in my shower. The adhesive failed and it fell, so we needed to buy a new one. No worries, they have them on Amazon! We bought one and tried to attach it to the tile in the shower. It turns out that if there is even the slightest texturing on the surface to which you want to attach it, the suction cup won't hold. 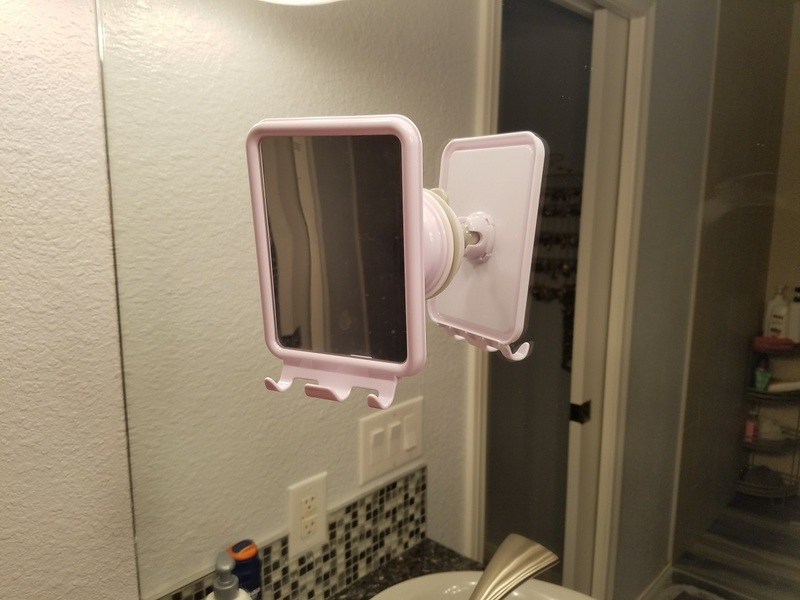 That means that the only thing in the whole bathroom that the shaving mirror will attach to is ... the main mirror.